The Two Hearts Crochet blog has been live for a little over four months now! Such a baby blog, but it’s growing with every view, like, and comment from our beloved readers and fellow crafters. As you can see, each month brings more and more views to the blog! That means more crafting and more fun. And who doesn’t love that? May was a great month for Two Hearts Crochet, and I’m hoping that June will be even better. Want to help? Share the link to the blog or the blog’s Facebook page! Get us to 200+ likes and you can be entered into a drawing to win something awesome! My favorite thing about the blog is seeing where all the views are coming from. The month of May brought views from lots of new places, including Thailand, Saudi Arabia and Brunei! Super exciting! The Two Hearts Crochet blog has now reached a total of 48 countries across 6 continents. Together, you have helped bring this blog around the world! THANK YOU! 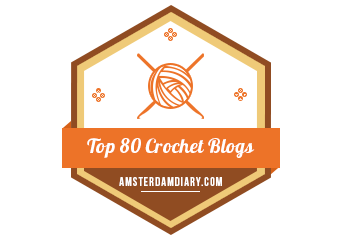 I look forward to the months to come and hope to see just as much growth and enthusiasm about the blog and the yarn crafts we all love so much as we have already seen. Until next time, happy crafting! Yarn glob image belongs to YarnMountain.com.